Disc Cover Studio is a user-friendly application aimed at providing you with the proper tools to create your own album cover, in just a few moves. This utility allows you to design CD or DVD labels, so you can locate your favorite movie faster in your collection. You can even generate front and back covers for disc cases. Create a unique design for Blu-Ray/DVD/CD covers with Disc Cover Studio. Make colorful layouts: select pre-made templates or import your own images for a disc surface, front and back covers. 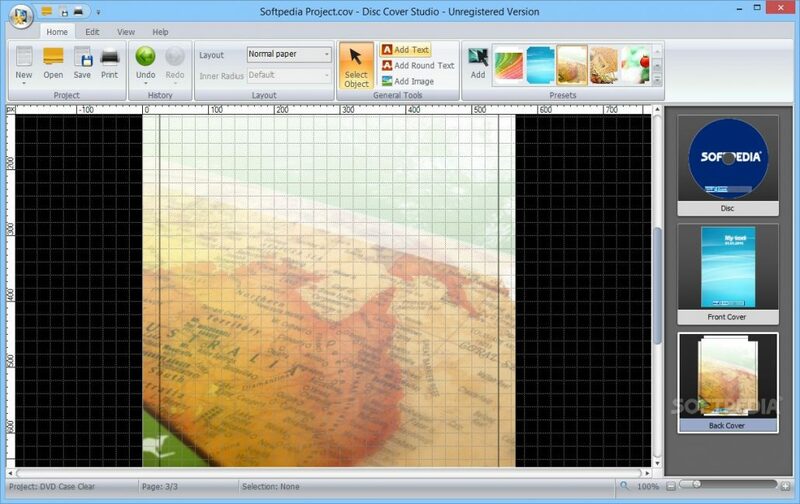 Locate images easily, Disc Cover Studio special grid helps you place objects precisely. Set up grid size and color. Zoom in/out to view details. Select the desired size for a disc cover from Disc Cover Studio ready list. It can be a standard Blu-Ray/DVD/CD case or exotic slim 3″5 size.